Sports Direct boss Mike Ashley has launched a furious attack on his firm’s shareholders, accusing them of stabbing him and the company in the back. He said shareholders had failed to support him and chairman Keith Hellawell, who resigned on Wednesday. Mr Ashley denounced the “media circus” surrounding the firm and said “true entrepreneurs” would never be accepted. Mr Hellawell stepped down after it emerged he was unlikely to be re-elected at the firm’s annual meeting. In his statement, Mr Ashley said shareholders had “made it extremely challenging for future engagement to take place”. Mr Hellawell’s decision to step down from the board followed last year’s meeting where he was re-elected by just 53% of independent shareholders. He had said he would step down at the next annual meeting if he did not win their support again. The former chief constable of West Yorkshire Police had faced criticism about the way Sports Direct was run. Mr Ashley added: “It is blatantly apparent that true entrepreneurs will never be accepted in the public arena. Mr Ashley said he had “gone above and beyond” in order to “rebuild the reputation of Sports Direct in the City”, which had been tarnished by scandals centring on working conditions at its Derbyshire headquarters. “These achievements have been widely recognised, and it has been acknowledged by a number of independent indexes that the reputation of Sports Direct has been significantly improved,” he said. Mr Ashley complained that “despite this progress”, shareholders appeared to be affected by “the pressure of the media and certain other organisations”. 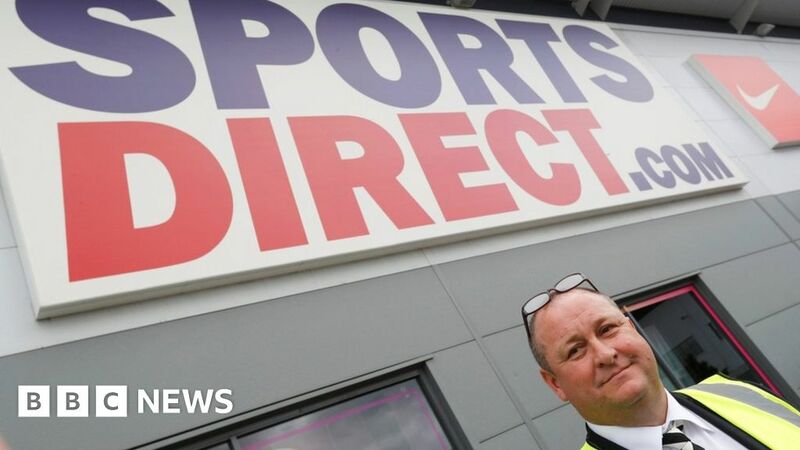 More recently, Mr Ashley has attracted further media attention in connection with his plans for reviving the House of Fraser department store chain, which Sports Direct bought for £90m last month after it had collapsed into administration. ← Emmy predictions: Who will win the night's major awards?